Phew! We hope everyone had a totally major time with our 80's blog hop and challenge, we like, fer sure did! Big shout out to Lindsay, and everyone at Sassy Studios for the amazing images and contributions. We'd also like to give a warm welcome to our newest design team member, Michelle! 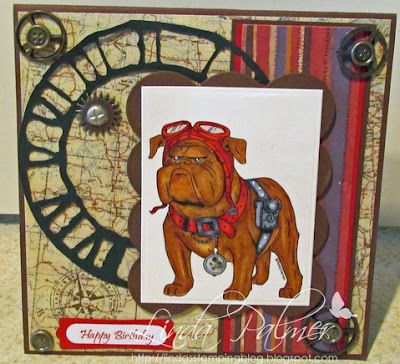 Known as MishB on splitcoaststampers, you can view her awesome work there or on her blog, Evermore Card Creations. 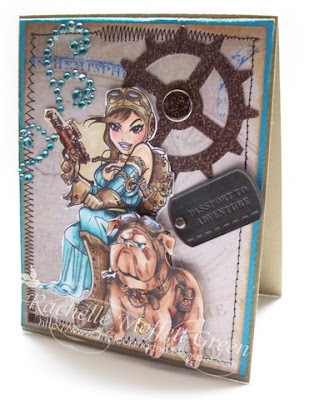 We have been stalking Michelle and her work for years now, and we're thrilled to have her join the team! Okay, back to business as usual, and that means it's time for a new challenge. We are ALWAYS glad to welcome back a fantastic sponsor: Kenny K! Stamps from Kenny K are a fun and edgy way to add the perfect dose of attitude and style to all of your creations! 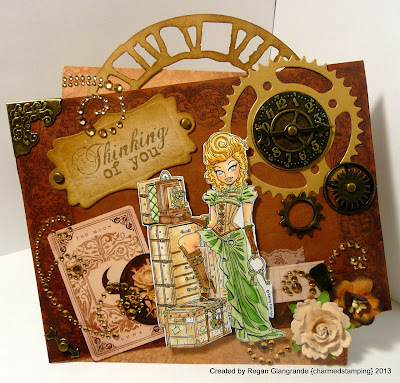 They have offered the winner of the challenge a prize of 5 digi stamps! In honor of 3 new hotties added to the Steampunk Burlesque line of stamps, our challenge is simply "Steampunk". Create a project with a steampunk theme. 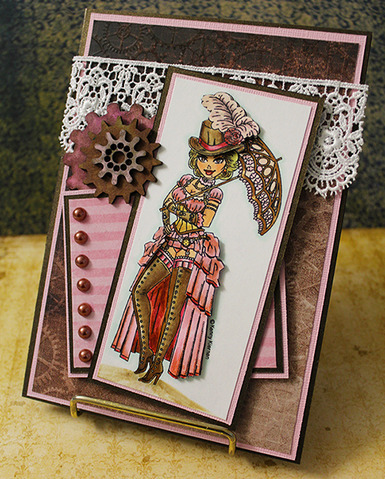 As they describe it, over at Kenny K "anything that is ornately embellished, with crazy amounts of fun and intricate Victorian-era detail - while retaining a modern rebellious attitude!" Gear up, and break out your metal, vintage, and punky crafting goodies, and join us for this fun challenge! Please use keyword Corrosive181 when uploading to online galleries. 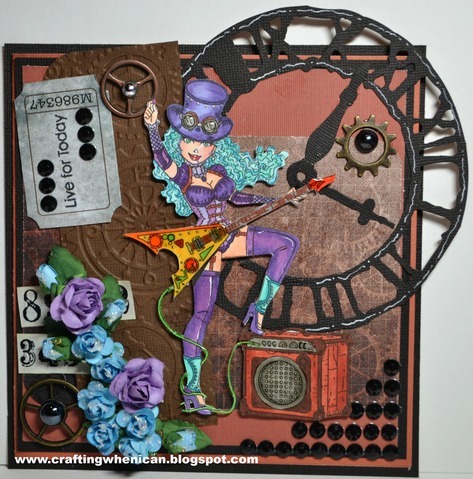 I am not too sure if my entry 15 is right for steampunk ( I would say it is but am not an expert) Please feel free to delete this entry if you think it does not match your theme.